Fauquier Health Sleep Center is now accepting new patients. For an appointment, call (540) 316-DOCS. LAST NAME DEPENDABLE, FIRST NAME MOST. You donâ&#x20AC;&#x2122;t build a legacy as the most dependable, longest-lasting full-size pickups on the road by chance. You do it with strength, capability and advanced technology that stand the test of time. And the test of miles. Find your Silverado for as low as $41,838. See Dealer for details, incentives and rebates change monthly. 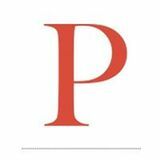 SUBSCRIPTIONS: Jan@rappnews.com For general inquiries, advertising, editorial, or listings please contact the editor at editor@piedmontpub.com or by phone at 540-349-2951. EDITORIAL & ADVERTISING OFFICE: The Warrenton Lifestyle Magazine c/o Piedmont Publishing Group Mailing Address: PO Box 3632, Warrenton, Va. 20188 Physical Address: 11 Culpeper St., Warrenton, Va. 20186 www.piedmontlifestyle.com The Warrenton Lifestyle Magazine is published monthly and distributed to over 11,800 selected addresses. 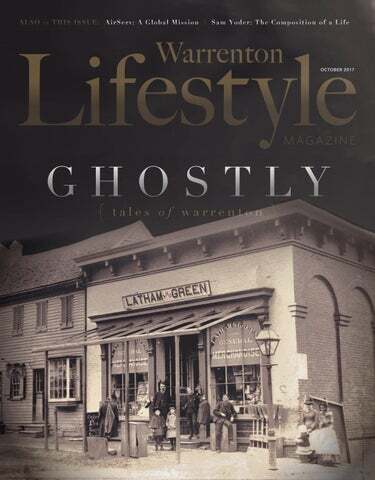 While reasonable care is taken with all material submitted to The Warrenton Lifestyle Magazine, the publisher cannot accept responsibility for loss or damage to any such material. Opinions expressed in articles are strictly those of the authors. While ensuring that all published information is accurate, the publisher cannot be held responsible for any mistakes or omissions. Reproduction in whole or part of any of the text, illustration or photograph is strictly forbidden. ©2017 Piedmont Publishing Group. your readership and advertising support. Starting next month, the Lifestyle imprint will expand to Gainesville. We’re excited to tell another community’s stories and provide an effective way for local businesses to reach customers through messaging that doesn’t get lost in the mix. As part of this transition, Broad Run Lifestyle will fold back into the Warrenton magazine, where it started as an offshoot several years ago. We’ll continue to tell stories from The Plains, Marshall, Vint Hill, New Baltimore and the places between in Warrenton Lifestyle, which will be distributed at more than 30 shops and other locations in the Broad Run area. As we embark on new ventures, our commitment to community journalism is stronger than ever. Thanks for your support. Recognize this building? It’s the current home of Allegro Community School of the Arts; 20 Main Street (see current photo, right). Latham & Green opened around 1882 and the building has been used as both a residence and a store over it’s roughly 180 years of life. Photo courtesy of Fauquier History Museum at the Old Jail. Above: Moira Satre lost her oldest son, Bobby, to a heroin overdose in the early morning hours of Saturday, April 18, 2015. The loss motivates her to help prevent other families from having to suffer like she and her family have. STEP INTO THE BLUE ZONE Discover the secrets of health, longevity and happiness with New York Times best-selling author and “Today Show” guest Dan Buettner. Thursday, October 12 7 – 9 p.m. Highland School Rice Theater Join Dan Buettner for a free motivational talk and book signing. Register and attend to receive a free copy of his upcoming book The Blue Zones of Happiness. Sign up today at pathtobetter.org. Large & Small We Do Them All! Above: United by loss and incited by an epidemic, Caroline Folker and Moira Satre use personal experience and powerful narratives to combat drug addiction. About the AUTHOR Maria Massaro is a Warrenton resident and freelance writer who has worked as a community counselor in Fauquier County since 2008. She is the founder of Aegis Counseling and Consulting and an advocate for individuals and families affected by mental illness. For more information, please visit www.aegiscac.com or call 540-316-8557. Providing mediation services throughout the Commonwealth A contested divorce can cost tens of thousands of dollars, yet less than 1 in 10 ever go to court. Paulâ&#x20AC;&#x2122;s track record of successful results through mediation has not only resulted in significant savings to our mediation clients but has spared them the emotional stress of trial and the litigation process. With over 30 years of experience dealing with divorce and family law disputes, Paul Morrison gets to the heart of the matter quickly and efficiently. Call and ask for the Mediation coordinator and let us help you solve your problems! wasn’t sure how to approach the subject with her father, due to his independent and stubborn nature. As our bodies age, changes may occur in our vision, hearing, reaction time, cognitive processing and other functions that affect our ability to navigate a car safely. Medications can affect driving as well. Other red flags for older drivers include: riding the brake; hitting curbs; driving too slow or too fast; scrapes on the car, mailbox or garage; getting lost in familiar places; stopping for no apparent reason; and trouble navigating turns, among others. Car & Truck Care, Inspections, Alignment, Brakes, Tires, Engine & Transmission, Heating and Cooling Services, Electrical & Electronic Services, Domestic & Import Cars & Trucks, Towing and Quick Lube Services. Stay safe behind the wheel According to Nancy Lo, Coordinator of the Virginia GrandDriver Program, driving is a complex, fastpaced activity in which a typical driver makes over 20 decisions per mile, with less than half a second to react to avoid a collision. In 2015, senior citizens aged 61 and over accounted for 13 percent of all crashes (those aged 21-30 made up 25 percent) but older adults have more accidents per mile than any other age group. But there’s a lot that can be done to stay safe behind the wheel before having to give up your keys altogether. Here are some tips that can help the older driver compensate: check your vision regularly; avoid driving in The average bad weather; plan your route ahead number of decisions per of time; limit left hand turns; avoid mile required busy highways and rush hour by a driver, traffic; and explore alternatives which can be to driving (such as friends and more difficult and delayed neighbors willing to assist) before as we age. the need arises. License renewal information Virginia drivers age 75 or older are required to appear in person at DMV for their license renewal and to pass a vision screening; these renewals cannot be done on-line or by mail. DMV also The age reviews individuals who may in which have health conditions that impair Virginia drivers are their ability to drive safely, based required to on reporting by the individual appear in themselves or by physicians, person at the DMV police officers, judges, family for a license members, or concerned citizens. renewal. The information in the report is not released to the person under review. Each case is handled differently, but DMV’s goal is to allow individuals to drive for as long as they can safely operate a motor vehicle. June found a helpful booklet, We Need To Talk, Family Conversations with Older Drivers, from The Hartford (see resources below). Anticipating reactions from the older person, deciding when is a good time to broach the subject of driving, and good conversation starters are all subjects included in the booklet. June was able to approach Walter with respect and sensitivity toward his feelings and, although Walter became emotional, he agreed to take a class aimed at older drivers. ❖ The percentage of crashes that senior citizens accounted for in 2015. 804-367-6203 www.dmv.virginia.gov Offers medical review services and information on mature drivers is available online (thehartford.com). Virginia GrandDriver 800-552-3402 www.GrandDriver.net This program’s website has self-assessments on driving ability, a free program that teaches participants how to make their personal vehicle “fit” them for maximum safety on the road, as well as other important information. Transportation Services Care a Van Program www.rrcsb.org 540-825-3100, ext 3358 A Rappahannock Rapidan Community Services volunteer transportation program available to those 60 or older, or anyone who is disabled and needs transportation to medical or legal appointments. Circuit Rider 540-341-3464 www.vatransit.org Covers Fauquier County and schedule repeats hourly. Services begin at 7:30 a.m. and the last run begins at 4:30 p.m..
Demand-Response Transportation Service 540-825-2456 or 540-341-3464 A curb-to-curb transportation service open to the general public by reservation. Monday, Wednesdays and Fridays, 8 a.m. to 5 p.m.
540-422-8424 www.voltran.org This is a volunteer driver program that provides free rides to medical appointments and other critical errands for the elderly and disabled. One Call Transportation Center 540-829-5300 Helps callers find rides to medical and other critical appointments through public, private and volunteer options; accompanies riders if needed for “travel training.” Serves residents of Fauquier, Culpeper, Rappahannock, Madison and Orange Counties. to keep updated on all of our upcoming listings! Don’t be afraid of the skeletons in your closet. Let the Law Office of Marie Washington assist in your expungements. was guarding the velvet rope behind which lobbyists stood to make one final influencing pitch to legislators. “I couldn’t believe how easy a senator could be influenced, this experience has remained on the forefront of my mind over the years,” he confesses. With the Capitol Police, King became a Federal Law Enforcement Instructor and attended a special diversity program. Following completion of the course, King revised the diversity program and became the lead instructor for Diversity/Cultural Awareness. Once again motivated by the challenge, King laterally transferred to the Capitol Police to the HAZMAT team where he dealt with threats from weapons of mass destruction from February 2004 to September 2007. After four years on the HAZMAT team he began a career as a federal air marshal. Left: Will King (top center) is photographed here along with his father, James (left) who retired from the United States Naval Construction Battalion; his brother (right), Charles who served in the Navy; and his mother, Maria (bottom center). Above: Will on Main Street. Photos courtesy of Will King. for 60 Months on Qualifying HVAC Systems. Register Now for Trunk or Treat It's time to register your business, group, organization, or family to host a decorated trunk for our 3rd Annual Trunk or Treat Bash being held on October 27 at the WARF. Only those hosting trunks need to register. Space is limited. Visit eventbrite.com to register. Join our mailing list or become a Charter Member and get involved today! Families 4 Fauquier is your link to family resources in Fauquier County and beyond. F4F is committed to strengthening and enriching the lives of children and families that live right here in our own community. For additional information about joining our membership program, receiving our monthly community newsletter or any of the events listed above please visit our website at www.families4fauquier.com or email us at info@families4fauquier.com. We now offer monthly advertising, website sponsorships and community event sponsors. If your organization has an interest in helping to support our community projects, events and programs please contact us today because together we can make a difference in little ways that can add up big! About the AUTHOR Tracy Baker, a Virginia Tech graduate, enjoys reading, hiking and volunteering at her children’s school. She lives in Warrenton with her husband and two children. Above: One of Air Serv’s Cessna Grand Caravan aircrafts en route to provide disaster relief. Left: 5X-ASA, a Cessna Caravana, is the “Queen of the Air Serv fleet” with over 14,000 hours of flight time. Above: An Air Serv Cessna flies over the rugged mountains of the Democratic Republic of the Congo. for Air Serv, insists that safety is always their primary concern. “Our priority is maintaining the highest level of safety and ensuring the security of our staff, humanitarian colleagues, and aircraft,” she says. “Every time we open a new program, the security situation must be evaluated.” This includes securing physical resources, such as the aircraft and support equipment, as well as ensuring the wellbeing of the Air Serv crew and ground staff by arranging reliable accommodations and transportation, as well as a safe supply of food and water. Please meet the owners of JR Snider, Ltd., Joey, Kristi, Franklin Copperfield and Daisy Duke. We are a value driven, family oriented plumbing services company that has been serving the greater Fauquier County area for more than 35 years. We make all our decisions based on the six core values of Trust, Respect, Understanding, Creditability, Kindness and Humor. We have assembled an outstanding team of highly skilled, courteous and knowledgeable plumbers. When you hire JR Snider, youâ&#x20AC;&#x2122;re getting a professional team thatâ&#x20AC;&#x2122;s dedicated to providing exceptional customer care and quality plumbing services. all services for senior 10% oncitizens, teachers, veterans OFF and first responders. “We truly feel like a part of the community here and very much appreciate the support of the people of Warrenton.” Left: A group of children in the Democratic Republic of the Congo form an impromptu welcoming committee for an Air Serv flight. Varithena (polidocanol injectable foam) is a prescription medicine used to treat varicose veins caused by problems with the great saphenous vein (GSV) and other related veins in the leg’s GSV system. Varithena improves symptoms related to or caused by varicose veins, and the appearance of varicose veins. Part of a free monthly series! Saving Monticello Virginia journalist, historian and author retraces Monticello’s history, from Jefferson to today 2:00 p.m. Opposite page: The focal point of the property is this encolosed garden that includes a 7,500-gallon rectangular koi pond. 1 6721 Fosters Fork Rd, Warrenton VA Q&A with Dawn & Dan 7. Realtor: As a realtor, how can working with aOWN Dan:IS Work with someone you YOU can trustMUST and “ECHOES OF GREEN” THE HOUSE HAVE! 1. Realtor: What is the benefit to the client for you to work with a builder? 19 Ivy Lane, Amissville, VA 6721 Fosters Fork Rd, Warrenton VA a realtor? choosing questions and watch over the details. I keep OWN YOUR OWN HORSE PROPERTY “ECHOES OFand GREEN” IS THE HOUSE YOU MUST HAVE! the process on track make sure upgrades/ Dawn: You should always interview realtors custom features completed. Good Situatedare against a peaceful and open backdrop, thisto2.7 acrethem as a professional. Ask for WITH POND & VIEWS! and get know communication is very important so there property with meticulously maintained offerssales everything! 15 minutes from Warrenton! stats, if listing a property, howApproximately they are no surprises. Setting, establishing and hometheir will market yourwith home. How they support their Threethe upper levels of living space & key a fully lower level NEWLY REMODELED KITCHEN AND BATHS. 5 stall barn with stall delivering clients expectations is the to finished clients, do they know the market for the area, a successful transaction. The is In-ground to have a heated theater room, wet bar, fullgoal bath. pool with tons of mats & Mare/foal stall, 4 paddocks & outside wash stall. House are they part time or full time. Review their happyentertainment buyer. area. On the DC side of Warrenton andwebsite just minutes hasThe many improvements and updates. All on 8.16 acres. online and client feedback. bottom to Rt 29.More details available at www.6721FostersFork.com More line is work with someone you feel comfortabledetails available at www.19IvyLn.com with, can trust and has your back. Looking for sp 5. Builder: What is the time frame for building a house? Does it make a difference whether it’s a custom design or an existing home plan? What are the benefits of a new build? Do you work with an architect? 8. Realtor/Builder: How can the client best use the relationship between the realtor and the builder to make the whole process easier and less stressful? Whether it’s in the house or in the acreage we have ourit’scomplete your home at Whether in the house orinventory in the acreage&westart have something for you.search See Dan: My goal is to deliver their new home in 6 months or less weather is always a factor. I have several plans to choose from that are popular on my website Atkinshomes.com that will meet most client’s needs. An existing plan is always less expensive because the build is a known cost verses a designer plan from scratch. A client can change the my designs to fit them, draw a new plan or they can bring their own design to the table. Dawn: The most important thing is to ask questions and have good communication. Make your selections in a timely manner to stay on target and on budget. important decisions about design changes our complete inventory & start your home search at: www.DawnArruda.com 2. Builder: What is the benefit to the client for you to work with the realtor? Dan: Dawn and I are a team. We collaborate on design and finishes throughout the home when building a spec home or designing a plan. She also works with me to market my properties and find prospective buyers. Often, she acts as my liaison with a client to ensure they understand my timelines and keeps them informed when decisions need to be made so I can deliver their home on time. 3. Builder: What should clients look for when choosing a builder? and selections made on time. Delays and last minute changes can impact the whole project. My team and I always try to work around last minute changes and compromise but they can create delays. Communication is key! 9. Builder/Realtor: What is the best time of year to buy/build a home? Dan: That usually depends on the climate. Generally, the best time to start building is late spring, summer and early fall. Dawn: The best time to buy for inventory choice is spring. The second biggest market is fall, September through December. 19 Ivy Lane, Amissville, VA YOUR OWN HORSE PROPERTY WITH POND & VIEWS! ximately 15 minutes from Warrenton! LED KITCHEN AND BATHS. 5 stall barn with stall al stall, 4 paddocks & outside wash stall. House provements and updates. All on 8.16 acres. details available at www.19IvyLn.com 19 Ivy Lane, Amissville, VA OWN YOUR OWN HORSE PROPERTY WITH POND & VIEWS! 6721 Fosters Fork Rd, Warrenton VA “ECHOES OF GREEN” IS THE HOUSE YOU MUST HAVE! Average days on market for Dawn Arruda & Co. It takes a local business owner to protect one. As local small business owners, we understand what it takes to protect your small business. Stop in or give us a call to get insurance for your business at a great value. A journal of appreciation of nature, place, people, and ways of life. OUR MISSION Affinities, not simply geography, create the Piedmont’s unique regional identity. We strive to give voice to this special—even magical—place in the hopes that it remains so. Our rewards program is for those men and women in the service community and our way to say “Thank You” for everything they do: FireFighters, Law Enforcement, Military, Healthcare Professionals, EMS and Teachers. When these selfless professionals work with us they save money on the purchase or sale of their homes. Contact us for more information! THINKING OF BUYING OR SELLING? INVENTORY IS LOW AND YOUR HOME MAY BE EXACTLY WHAT SOMEONE IS LOOKING FOR IN A HOME! CALL TODAY FOR A COMPLETE MARKET ANALYSIS OF YOUR HOME. Kimberly Holzer Kimberly is a 9-year resident of Warrenton, originally from California. She and her husband Vince have been married for 18 years and have been best friends since they were 12! They have three beautiful children: Jackson, Georgia, and James. Together they have lived in three different states and three countries over the course of their marriage, due to Vince’s time in the United States Air Force, but Warrenton is where they feel at home. Kimberly is a two time cancer survivor, Hodgkin’s Lymphoma in 2005 and Breast cancer in 2015, and is proud to be a survivor. and in four-part harmony so well we rivaled professionals.” A curious threeyear-old Yoder found an old pump organ and struggled to understand how the instrument worked; he tried to press the pedals while keying the instrument. Even at this tender age, Yoder heard music. “I just assumed everyone heard what I did,” says Yoder of his finely-tuned ear. The seed of music started to grow. Another aspect of the Mennonite community is work ethic. As time passed, Yoder grew into a young man and was instilled with this strong work ethic. Adult women of all ages are encouraged to perform breast self-exams at least once a month. While mammograms can help you to detect cancer before you can feel a lump, breast self-exams help you to be familiar with how your breasts look and feel so you can alert your healthcare professional if there are any changes. Visit nationalbreastcancer.org/breast-self-exam for more information. Whether you are thinking about buying, selling, or both... we know what an important decision it is for you and your family. With the Brenda Rich team, you will receive the professional, personalized service you deserve. Left: Yoder as a young boy. Below: Yoder (on right) is pictured here with his daughter, Cyndi Romero (middle) and niece Rebekah Whiteley (baby). VOTED BEST EYE CARE PROVIDER IN WARRENTON Thank you for voting! Above: Yoder plays an active role in the various daily operations at Allegro. transforming stories told by Fauquier residents into articles for Lifestyle readers. She learns more and more about our rich county with every interview she conducts. She and her husband are happy with their decision to raise their four children in Warrenton. SAVE the DATE Join us for three days of festivities in celebrating the installation of our present day Elementary School and special tribute to the class of 1987. Whether you need to Rent or Buy - Contact Us! One of our most premium paints, engineered to deliver unrivaled color quality and exceptional coverage in fewer coats. THE PAINT SHOP LTD 51 Alexandria Pike Old Town Warrenton 540-347-4484 paintshopltd.com ©2016 Benjamin Moore & Co. Benjamin Moore, Paint like no other, REGAL, and the triangle “M” symbol are registered trademarks licensed to Benjamin Moore & Co.
edical and support professionals at Fauquier Health work hard to personalize, humanize, and demystify the patient experience. One way to do that is for healthcare providers to proactively offer patients open access to their medical records while they are hospitalized. Above: Jane Mayes,RN, on 3 South, explains to patient Vicki Carroll about her medical records and answers questions about her plan of care. Personal Hygiene Care • Respite Care • Transportation • Cooking Light Housekeeping • Laundry • Medication Reminders • Errands & much more! Love the peace of mind with our professionally trained, carefully screened caregivers, who are bonded, insured and licensed. Experienced and trained in caring for those in Hospice and those with Alzheimer’s or Dementia, Parkinson’s, Cancer, COPD, Multiple Sclerosis, Diabetes and more. Mid-Atlantic Home Health is a licensed Medicare and Medicaid certified home health agency providing Skilled Nursing Care, Rehabilitation Services and Personal Care Aide. Each case is Complimentary evaluation Commercial provided with by a registered nurse is insurance, private a customized offered to determine the pay and workman’s appropriate level of care plan of care and compensation supervision. for every patient. insurance are accepted. SETTING UP AN ACCOUNT Patients can register for The Fauquier Hospital eChart at any time during or after their first visit to Fauquier Hospital. During registration for that visit, the patient access representative will ask if you would like to sign up. If you do, they will ask for your email address and the system will send a unique patient code to your email. If you would like to sign up in between hospital visits, go online to www.fauquierhealth.org and click on “Patient eChart,” then on “Create My New eChart Account” and then click on “Request an eChart Code.” Patients will then be able to set up an account with a username and password they select. Reports and other information are posted between 30 hours and seven days after the reports are final or after an inpatient discharge. You can sign up for an eChart for yourself, your child under the age of 10, or an adult for whom you have Power of Attorney (with proper signed documentation). You cannot sign up for or use an eChart of another adult (your adult “child,” spouse, domestic partner); however, there is a sharing feature within eChart that lets a user see information of those that have shared it from their eChart. Children between the ages of 10 and 17 cannot use eChart due to limitations of the software and HIPAA law. he simple answer to this question is, hike more! As with any subject you want to master, you need practice. Walking in your neighborhood is a good start but will not be sufficient; hiking on trails is the key to becoming a better hiker. The difference between walking on the sidewalk and hiking on the trail is in the activation and use of various muscles. Trails are uneven, strewn with roots and rocks, and they can be slippery or sometimes treacherous. Being on the trail activates a myriad of large and small muscles to keep your legs and body in balance. While ligaments are being stretched on the trail, knee and hip joints experience a much higher usage than when walking in a park or on the road. Trails offer the best tonic for musculature and bones. Ok, so youâ&#x20AC;&#x2122;re probably not ready for a summit climb... but you donâ&#x20AC;&#x2122;t need to go to extremes to challenge yourself. Limit one discount per customer per visit. Must bring coupon to restaurant in order to receive credit off your purchase. Not valid on alcohol purchase. Not to be combined with other offers. while preserving the historic character of the community; and to promote a rich and appealing cultural atmosphere to live, play and do business. Exercises to help you become a better hiker start towards integrating your mind and body. To commit to your physical and mental well-being you can always join a club, such as Warenton's Boots ’n Beer or one of the many other hiking clubs available. Finding the right one for you–where you really enjoy spending time with your fellow hikers–is paramount in building the foundation for a gratifying fitness program that can last a lifetime. For most people, exercising alone at home or in a gym completing repetitive movements on treadmills, stationary bikes, or weight machines is hardly inspiring. When you go outside and use natural surroundings to achieve muscular strength, agility, and power, you will uncover a much more exciting and rewarding approach to your training regime. Many beautiful neighborhood parks and forests are readily available and accessible to take your workouts outside. A fitness trail consists of a path equipped with obstacles or stations distributed along its length for exercising the body and promoting good health. These types of trails are a growing movement in America and are located in many different areas: forest parks, neighborhood parks, and even urban settings. Why not start a fitness trail in your neighborhood? A helpful book to help you enjoy outside workouts is Tina Vindum’s Outdoor Fitness. Let nature be your motivator... you will uncover a much more exciting and rewarding approach to your training regime. Andreas A. Keller is a passionate hiker, avid backpacker and a charter member of Boots ’n Beer, a drinking club with a hiking problem. He can be reached via email at aakeller@mac.com. Time to stop the overwhelm. oughly half of Americans run or bike on a regular basis. Marathons and triathlons are experiencing double-digit participation growth rates, and cycling has surpassed golf as the nation’s preferred casual social and business network. There are a number of reasons these sports continue to see tremendous growth. As most of us know, endurance sports offer significant physical benefits. Getting started can be fairly easy, they can facilitate social engagement, and they have a wide variety of health benefits. Many participants look to endurance sports as a means of weight control, but it’s certainly not the only return on your investments of time and energy. Authors & Book Signings Author Panels & Workshops Kids story time & activities at The Fauquier Bank Plaza Bookstore On-Site 25 authors spanning adults, young adults and children. Saturday, Oct. 14th 10 AM - 4 PM The day is free and open to the public. Eric Litwin | Original author of Pete the Cat, the Nuts and Groovy Joe. He will be doing a presentation at 3pm on 10/14. $5 in advance | $10 at the door He will be available for book signing at the event. See the Allegro Facebook page and website to purchase your ticket. 4 Hard or 3 Soft Shell Meat or Bean Tacos with 16oz. Fountain Drink $5.39 Offer Good With This Coupon Through 10/31/17. Limit One Coupon Per Customer or Family. Not Good With Any Other Coupon or Offers. and other chemicals in the body that contribute to feelings of well-being. Endurance sports may also improve overall energy levels by facilitating cardiovascular health and improved sleep. What’s more, exercising helps combat heart disease, cancer, dementia, stroke, diabetes, and high blood pressure. One of the reasons endurance sports have seen such incredible growth in recent years is that so little is needed in order to get started. The first step is as simple as taking a first step. Before beginning a new type of exercise, it’s always wise to consult with a physician to make sure you don’t have any underlying physical conditions that need to be addressed as you undertake a new endeavor. After that, start easy. If you’re not currently engaging in any physical activity, try a 10 to 20 minute walk. By keeping it short and simple you make it easier to develop a habit and less likely to be discouraged by the difficulty level. Chose specific, measurable, and obtainable goals, as this will increase your chances of success. Hitting those goals early may have a positive impact on your motivation. For many people, the social aspect of these activities also helps provide motivation and accountability– whether in person, like a running club or group ride, or online. Digital applications like Strava and Zwift allow athletes to interact with their peers all over the world in online environments. Some sites and apps can also help you track your workouts and monitor progress while engaging in friendly competition. Choose a race or non-competitive event to help provide motivation. Having an event on the calendar can also help you organize a plan for training with easy-to-follow steps. Websites like Active.com and USAcycling.com provide extensive calendars that will help you locate fun events nearby–all searchable by date and location. Finding a professional to consult with can help make the experience more enjoyable, whether through advice on training or recommendations on the best gear. It’s particularly valuable to create relationships with those experts in real life, as their advice is often more reliable than what you might find online. Jared Nieters is coowner of Haymarket Bicycles and founder of Mapleworks Endurance Coaching. He has won multiple national championships in cycling and now coaches endurance athletes in a multitude of disciplines. He can be reached at info@ mapleworkscoaching. com and found on most social media sites at @ mapleworkscoach. Butternut Squash Risotto, Apple Crisp, Chicken Curry, Double Stuffed Pork Chop & Autumn Pancakes! Available for Special Events! Book Your Holiday Party at Claire’s! Above: Main Street during a monumental snow in 1898. CF Galloway’s Livery Stable was demolished in 1899 and our current United States Post Office moved to this location in 1919. You Unwind? You Come Come Home Home To To o Unwind? What’s The Last What’s The Last Thing Thing On On Your Your You Unwind? You Come Come Home Home To To o Unwind? New New customers customers only. only. When When you you schedule schedule regular regular service. service. Not Not valid valid with with other other offers. offers. Call Call for for details. details. New customers only. When you schedule regular service. Not valid with other offers. Call for details. was surprised to find he was alone. The young soldier was nowhere to be found. Maggie Lovitt, Curator at the Old Jail Museum, has seen the young man as well. “Shopping for a birthday gift in Shelf Life, I happened to see a young man dressed in uniform on the steps of the Post Office during the day. I assumed he was a reenactor waiting for someone, and didn’t give him much thought.” Today, the tales suggest the man continues to wait for his orders outside the recruiting office. If you like a man in uniform, open a box at the Warrenton post office. The Independent Order of Odd Fellows is a fraternal order that was founded in 1819, similar to the Freemasons. The Warrenton Odd Fellows Lodge, dating to 1877, is situated on the corner of 5th Street and Main Street. 19th century. Her jaw, an arm, and a leg bone were missing. During the time of her death, it was not uncommon for organizations to purchase cadavers from catalogs through the mail. “her remains were returned to their resting p l a c e, between the wa l l s, w h e r e they still l i e t o d a y.” Perhaps her remains were purchased by the order for rituals that were supposedly practiced at that time. The truth was never released to the public; the police were sworn to never share why the remains were there. After the investigation, her remains were returned to their resting place, between the walls, where they still lie today. Left: The Odd Fellows building was sold by the town of Warrenton in 1847 to Charity Lodge 27 of the Odd Fellows. The lot was known as the “Market House” lot and included the first floor of the brick building. The Odd Fellows and Masons shared the second floor space. In 1854, Miss Harriet Swift used the first floor of the Odd Fellows’ Hall as a girls’ school. Below (top): The Fauquier Female Institute was opened in 1857 as a boarding school for girls and operated until 1925. One of the building’s most famous boarders was General Douglas MacArthur who visited his aunt at the boarding school in the late 1880s. In the 1980s the property was converted into an assisted living facility and today it serves as an apartment building. Current renters have recounted hearing footsteps in empty apartments and doors will open and close on their own. Perhaps these strange occurrences are the actions of boarders who never left the institute. A well-respected Warrenton man, after whom a street was named, Dr. Gustavus Richard Brown Horner cared for residents in Warrenton and the surrounding countryside in the late 18th century. However, in 1795, Dr. Horner’s patients would enter his office, but not leave. Suspicions rose until the mysterious death of Horner’s own son. An investigation ensued, accusations were pronounced, and even his own assistant confirmed that the doctor poisoned his patients. But suddenly, the charges were dropped and no arrests made. The unfortunate patients of Dr. Horner are reportedly still walking today on the street that bears his name. Previously the Fauquier Female Institute, this architectural standout (pictured above) is still in existence today. Originally, this building served as a local all-girls boarding school. During less successful years, the institution allowed student boarders from outside the area to enroll. Several stories throughout the decades reveal noises and strange occurrences from footsteps to doors shutting on their own accord. 21 and 28. Admission is $13 for individuals 12 years and older. Children under 12 years old are $5. Tickets sell out fast and must be purchased in advance online (www. fauquierhistory.org). On Friday, October 13, the Fauquier History Museum will also conduct a paranormal tour of the museum. The tour is from 7 to 9 p.m. and will focus on the ghosts of the Old Jail. The museum’s resident medium will be on site to talk with guests about paranormal activities and experiences. Admission is $20 per person and spaces fill up fast, so book in advance. Above: General store Latham & Green opened around 1882 and the building has been used as both a residence and a store over it’s roughly 180 years of life. The building is located at 20 Main Street (at the corner of Culpeper and Main Street) and is the current home of Allegro Community School of the Arts. Certified for adventure. Coordinated and comprehensive joint replacement care, from consultation and surgery to rehabilitation therapy. Gold Seal of Approval® Certified for Total Hip and Knee Replacement by The Joint Commission, the premier health care quality improvement and accrediting body in the nation.